This week we are craving the thrift style of Adrienne from North Carolina. 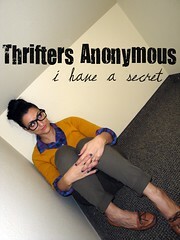 Adrienne fell in love with thrifting after watching What Not To Wear. 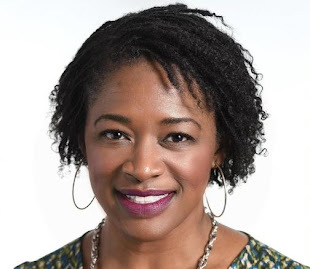 She said she was inspired to shop but knew she couldn't afford the price ranges they suggested. "Therefore, I stopped in a local Goodwill one day and was sold", she said. "That was about 13 years ago." Now it's a lifestyle. 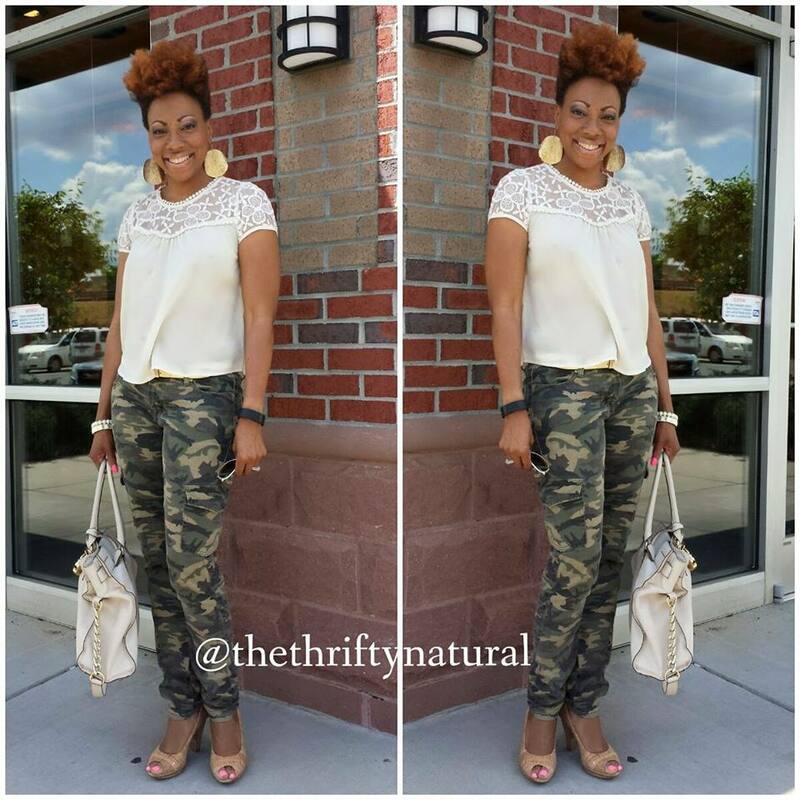 "My thrifted look describes my year so far...it started out all beautiful and then war broke out!" Her favorite part of thrift shopping: The thrill of the hunt! 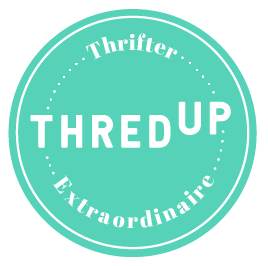 I live discovering one of a kind vintage pieces or brand new items with tags attached showing me how much I saved. 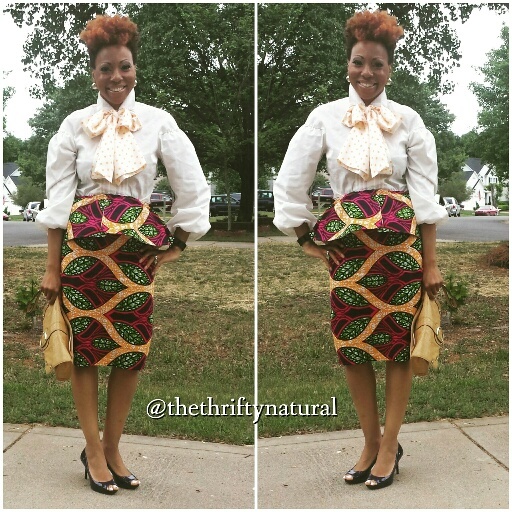 "My style inspiration came from African Prints via Pinterest." Her most treasured find: My long strand of pearls. 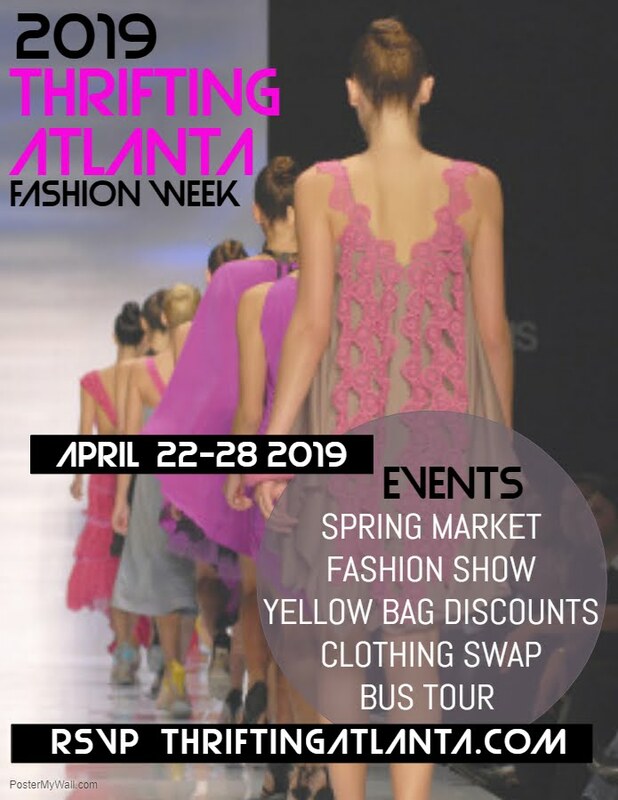 Her number one tip for thrift shopping success: If possible, go during the week to avoid crowds and have more selection to choose from. 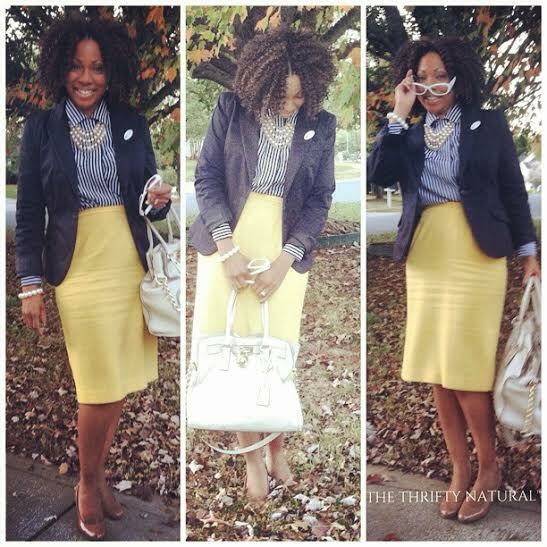 "Season Clash...in autumn but wanting spring...hence the yellow pencil skirt"
What do you think of Adrienne's style? Which look is your favorite?